A playback singer in today’s times! How do we quantify their success? Most of them arrive, deliver a hit or two and leave the scene. 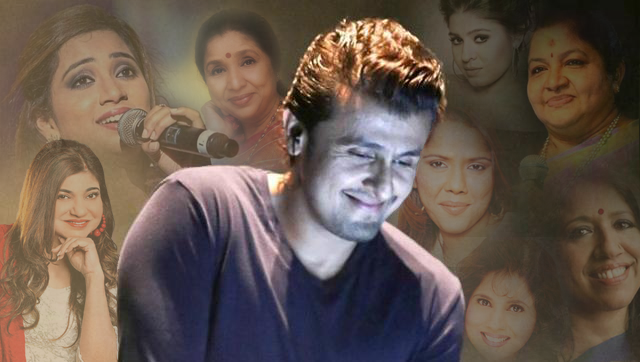 India has seen legends like Lata Mangeshkar, Asha Bhosle, Kishore Kumar, Yesudas, Mohd. Rafi, SP Balasubramanium, S Janaki, K S Chitra, Sonu Nigam, Hariharan, Alka Yagnik and few others who thrived for DECADES. Their era of live recordings and musician-singer partnerships ended long back. If we look back at the past 15 years, how many new artists survived the ever-changing trends? 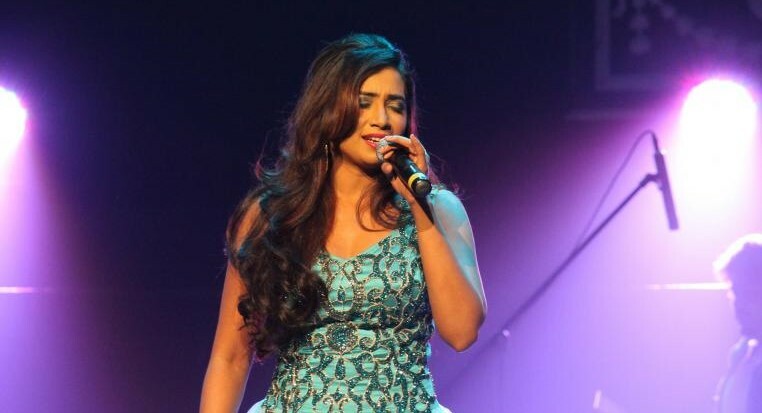 One gem of an artist introduced by director Sanjay Leela Bhansali in 2002 made it through and became the princess of Indian playback singing – SHREYA GHOSHAL. 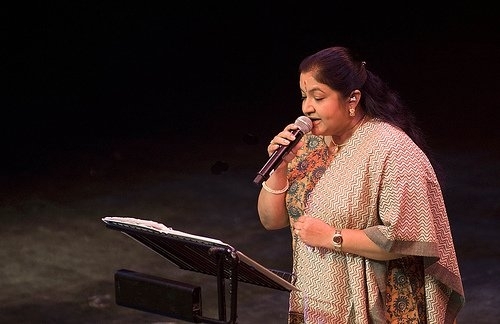 The film industries in Tamil Nadu, Karnataka, Andhra Pradesh and Telangana equally love her silken voice. At times, I feel she kind of fills the void left by the late Swarnalatha in Tamil film industry. Slightly similar in voice texture, Shreya’s ‘Munbe Vaa’ from Sillanoru Kaadhal and “Unna Vida” from Veerumandi could have been Swarnalatha’s songs. 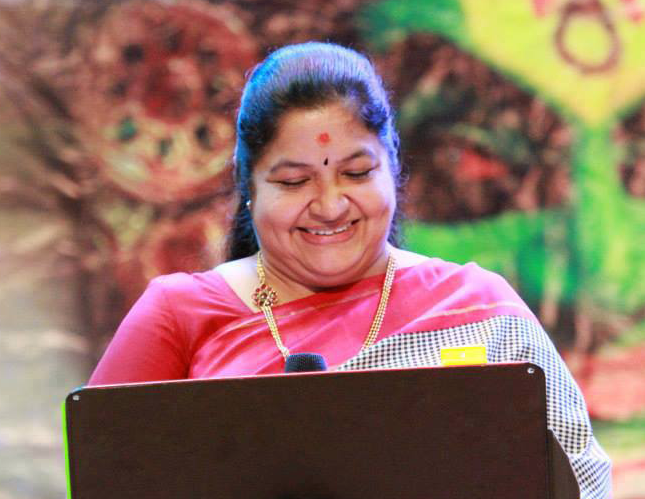 Among her Telugu songs, my personal favourite would be “Merupula Merise” from Chintakayala Ravi. As for her numerous Kannada hits, “Gaganave Baagi” from Sanju Weds Geetha takes the cake. This is something she has been blessed with. As long as Indian cinema remains, our leading ladies will be portrayed as feminine, graceful and elegant – all that Shreya Ghoshal’s voice epitomizes. From Aishwarya Rai Bachchan to Shwetha Menon, her voice rendered expressions that many of them couldn’t bring out effectively on screen. One particular song I remember is the following one where the actresses contribute nothing while Shreya’s angelic voice do the needful! And the good ones? Plenty of them… here goes a top favourite! Shreya’s voice gleams in Amrita Rao’s sparkling eyes just as the moonlight does. What is Indian film music without romantic duets? While she makes a scintillating pair with the likes of Arijit Singh and other new singers, her songs with established singers like Hariharan are equally delectable. Her honey-tinged voice also complements well with female singers. Her partnerships with Hariharan, Sonu Nigam, Sunidhi Chauhan and of course, AR Rahman, remain my top favourites. Here’s one song I will never get tired of listening! 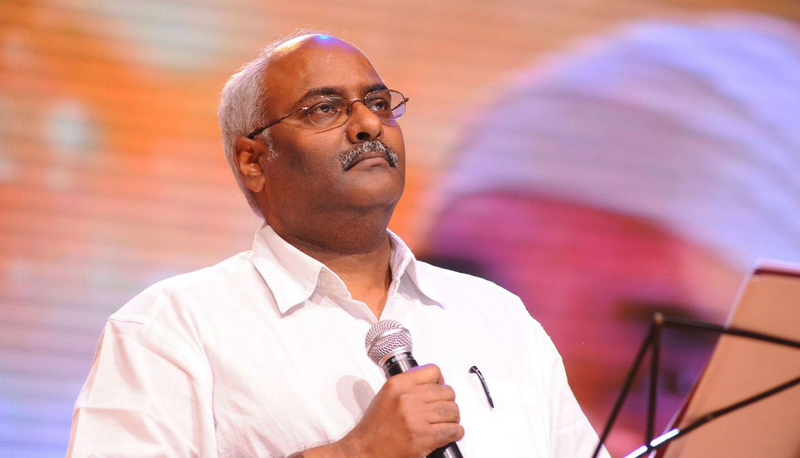 Playful ched-chaad tracks, sad ditties, devotional songs…. Shreya has done it all. She is adept at changing her scale and voice pattern to suit her songs. Music director Sandesh Shandilya expected her to sing in a tone different to the usual for the melodious ‘Sarphira Sa Hai Dil‘ from Love U… Mr. Kalaakar and Shreya nailed it perfectly. Watch Shreya sing a Rajasthani Meera bhajan at a Malayalam reality show. Not to forget she is of Bengali origins! In the following song, we have Shreya croon a jazzy number composed by none other than AR Rahman for the much-overlooked soundtrack – Blue. The case of versatility rests here! Her singles have always been delectable, be ‘Le ja le ja re…” from Ustad & The Divas or ‘Yeh kya hua‘ from Tera Mera Pyar. Cover versions of Lata Mangeshkar’s ‘Lag jaa gale‘ and Kishore Kumar’s ‘Mere mehboob qayamat hogi‘ sound pristine in Shreya’s voice. Today, Shreya turns 34 and she already has 4 National Awards for Best Playback Singing in her kitty. With numerous popular awards and a dedicated annual ‘Shreya Ghoshal Day’ in the American state of Ohio (June 26), Shreya is the reigning princess of Indian film (which isn’t just Bollywood) music. She debuted with a chart-busting soundtrack (Devdas) and 14 years later, she’s busy collecting trophies for her incredible work in Bajirao Mastani. I’m pretty sure Shreya is going to be the last of her tribe to have a career traversing decades. Time? Age? Whatever they are! An excellent article as this person has worked very hardly in making it. Next PostBajirao Mastani (2015) – A resplendent Bhansali magnum opus!